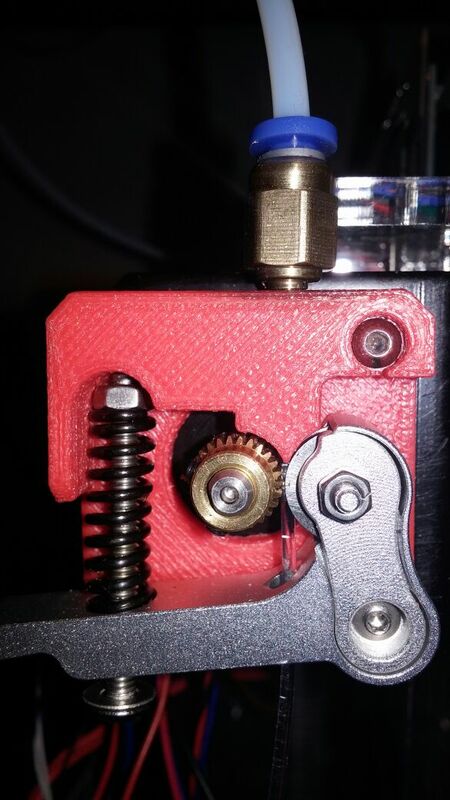 When I first tried, the filament would bend inside the extruder and not even reach the hotend, if it did, it would drip. 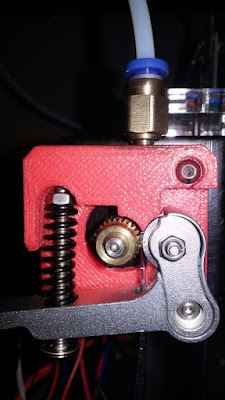 So the first step is to make the extruder push the filament, I've designed an extruder block that accurately fits on the extruder gear so it couldn't bend anywhere. Partial success, the filament sometimes sticks inside the hotend when retraction is enabled, so next step is to disable the retraction. 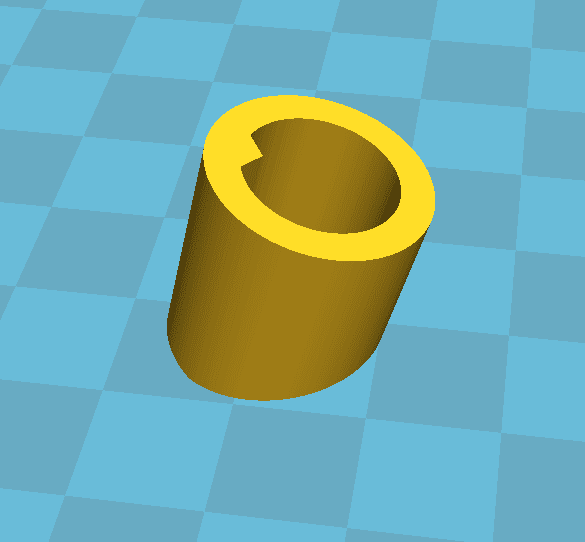 Now I can print some stuff, like rubber legs for my tripod!